The ultrafiltration (UF) technology makes it possible to retain microorganisms, such as bacteria and viruses, and separate colloidal particles and macromolecules, which results in completely disinfected water. The process is fully automatic, making it fast and reliable and ensuring low operating costs. An ultrafiltration system is used in the production of drinking water or as a pre-filtration station upstream of the reverse osmosis station. 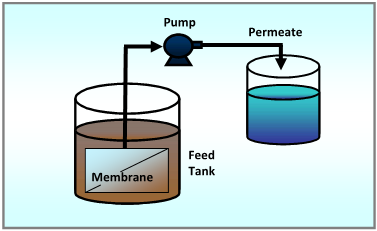 Water is drawn with a pump located downstream of UF modules.